Experiments with Bleach (part 2) | In the Crayon Patch..
My last experiments showed me that a very brightly-coloured, highly-patterned fabric was ideal for bleaching. 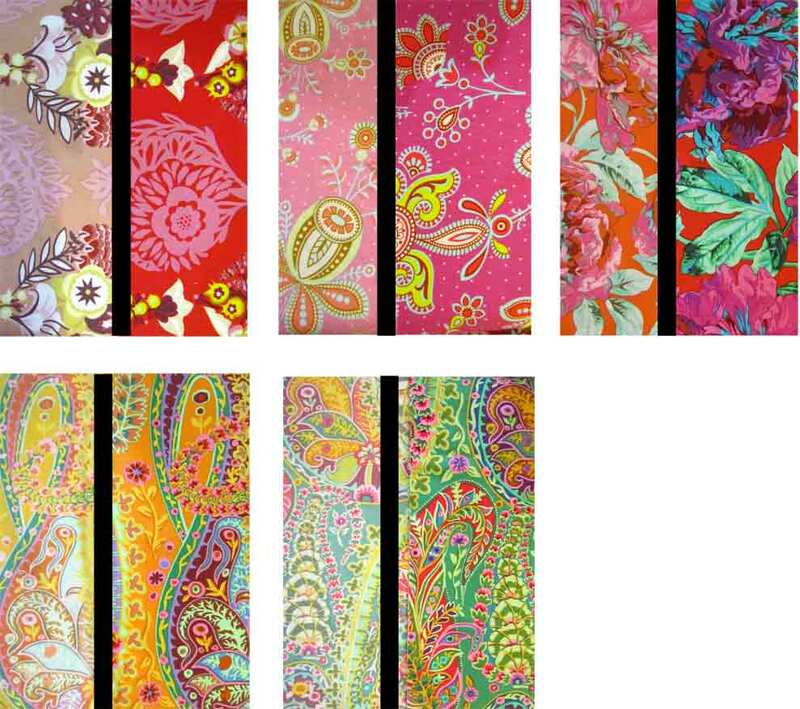 I dug out Fassett and Fassett-like fabrics. Red seems to be most influenced by the bleach. Unbleached sample is on the right, bleached is on the right. Click on images for a closer look. These are less successful…. I was looking for a more dramatic change that I got here. I am much happier with these samples…. This is fabulous! A little bleach doubles my stash. I’m going to leave them out to look at until I decide how to use them. 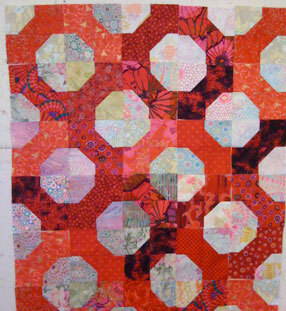 There is a quilt by Kaffe Fassett that I just love, and hope to use the bleached-out fabrics in it.. I found a copy of the image on another blog. It is the bowtie quilt, third down. I have a lot of other projects to work on, but wanted to get started to see how it would look- here is a photo of it on my design wall. I love it so far, but must put it away, as it is just TOO distracting. You know what I mean: OK, I’ll just make one more block.